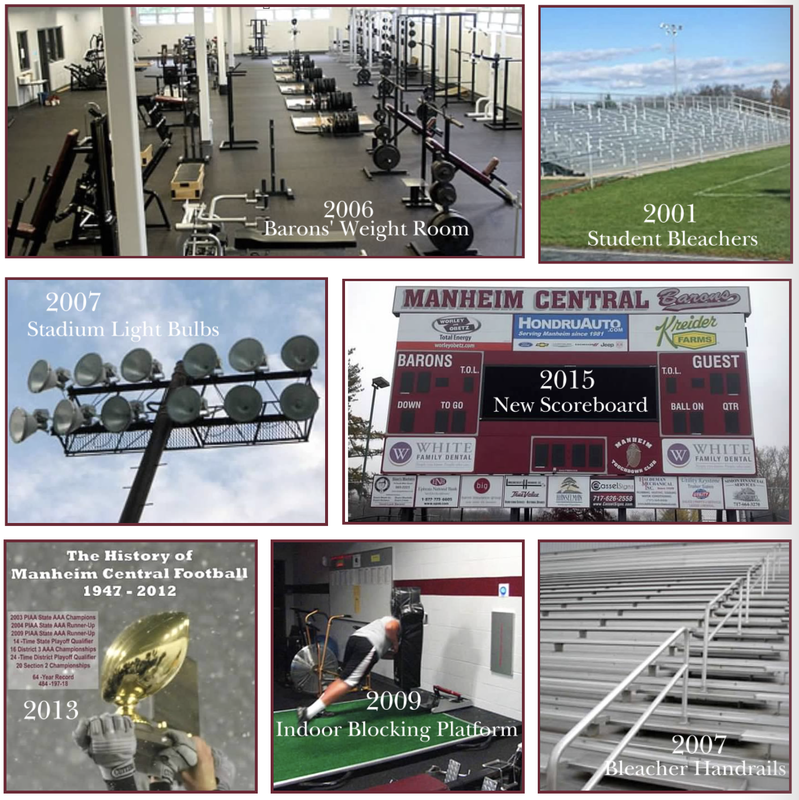 The Manheim Touchdown Club Awards Banquet will be held Thursday, May 16, at the Spooky Nook Sports Complex beginning with a reception at 5:30 PM. 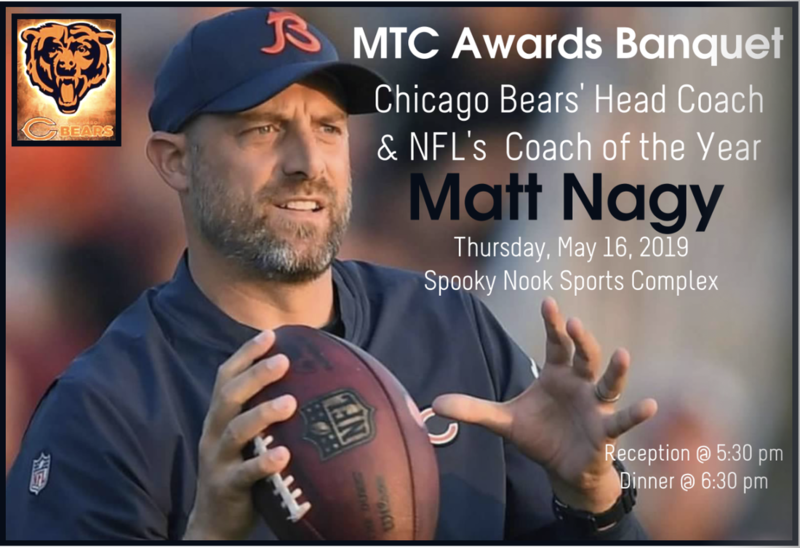 Matt Nagy, Chicago Bears Head Coach, will be the featured speaker. The L-L League Player of the Year will be announced at this time. The three finalists for this award are Noah Palm from Cocalico, Tyler Flick from Manheim Central, and Trey Glass from Warwick. Also awarded will be the L-L League Lineman of the Year that will go to either Nick Coomer from Warwick, Tyler Dougherty from Manheim Central, or Hayden Rucci from Warwick. Tanner Erisman of Penn Manor High School and Franklin & Marshall College will receive the Dr. Gene Carpenter Award for the Small College Player of the Year and Matt Wright of Lampeter-Strasburg High School and the University of Central Florida will receive the award for the Big College Player of the Year. The Gene Upshaw Award for the College Division II Lineman of the Year will also be part of the program. The L-L League Coaches will be introduced along with the all players participating in the Tri County All Star Football game to be played Friday evening, May 24 in Manheim. Nagy just completed his first year as the Head Coach of the Chicago Bears after being named the 16th head coach in franchise history on January 8th, 2018. Nagy who owns 11 seasons of NFL coaching experience orchestrated a remarkable turnaround for the Bears in 2018, taking a 5-11 team in 2017 and turning them into NFC North champions, winning AP and PFWA Coach of the Year honors for his effort. The Bears, who won nine of their last 10, finished the regular season12-4, the most wins since the 2006 NFC championship season (13-3) and the most by a Bears head coach in their inaugural season in franchise history. In doing so, Chicago secured the NFC’s No. 3 seed and hosted a playoff game for the first time since the 2010 NFC championship season. The Bears finished 5-1 vs. the NFC North, their best mark in division play since 2010, sweeping both the Lions and the Vikings, and finished the regular season 7-1 at home, their best home record since 2005. Pictures of Markus Jones, the 2018 MTC Gene Upshaw Award recipient, at the 2019 East West Shrine Game in St. Petersburg Florida. Markus played at Angelo State University in San Angelo Texas. He is a defensive end.